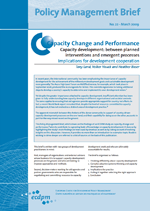 In 2009, ECDPM completed a five-year research programme entitled ‘Capacity, Change and Performance’. 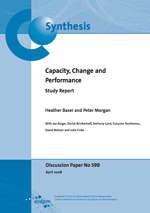 The Capacity, Change and Performance study provides fresh perspectives on the topic of capacity and its development. It does so by highlighting endogenous perspectives – how capacity develops from within, rather than focusing on what outsiders do to induce it. The research also embraces ideas on capacity development drawn from literature outside the context of development cooperation. Key questions addressed by the study are: What does capacity look like? How does capacity develop endogenously? 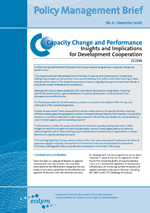 What is the driving force behind successful capacity development? Does better capacity necessarily lead to better performance? 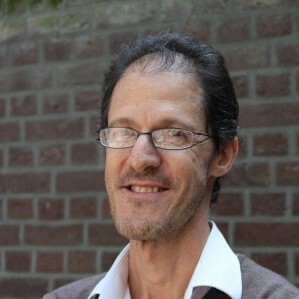 And what can outsiders do to support capacity development? Although the research draws implications for international development cooperation, it does not specifically examine donor agency experiences in capacity development, or related issues of aid management and effectiveness. A total of 16 case studies were prepared that embrace a wide spectrum of capacity situations covering different sectors, objectives, geographic locations and organisational histories – from churches in Papua New Guinea to a tax office in Rwanda to nation-wide networks in Brazil. The case studies are complemented by seven thematic papers and five workshop reports. The study was funded by ACBF (Zimbabwe), AusAID (Australia), CIDA (Canada), COEP (Brazil), DFID (United Kingdom), DGIS (the Netherlands), Fondazione Piero e Lucille Corti (Italy), JICA (Japan), OECD/DAC, Sida (Sweden), SNV (Netherlands), and UNDP. This final report is written for people interested and involved in capacity development work. It offers insights as much for managers and staff of public sector and civil society organisations as it does for external agencies – either those providing capacity development services to local organisations or donors that finance capacity development work. This Policy Management Brief highlights the key findings and conclusions of the final report. It presents implications for external agencies engaged in capacity development in the context of international development cooperation. This Policy Management Brief draws on the findings of the Capacity, Change and Performance study. It aims to contribute to a growing body of knowledge on capacity development. It does so by highlighting the study’s main findings on how capacity develops as well as by taking account of evolving insights on this discussion. However, it provides no more than an introduction to a complex topic. Thematic workshops were organised on issues which have arisen out of the research. The Learning Network on Capacity Development (LenCD) sponsored this 2.5-day forum. The (intermediary) results of the study were presented and discussed in several meetings. 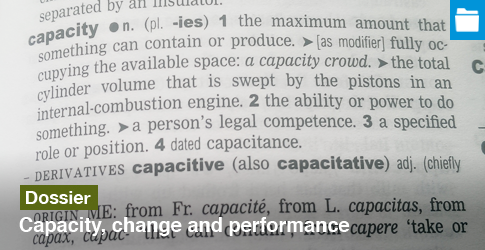 See also our dossier on capacity, change and performance.